Tonight at the 2018 Tony Awards in New York City, there are a number of trends that hit the red carpet. Silver is one of the runaway colors of the night, notably on Tiny Fey in her feather-adorned Thom Browne dress. Jumpsuits were also popular, as seen on Kerry Washington in Atelier Versace and Tiffany Haddish in Michael Kors Collection. 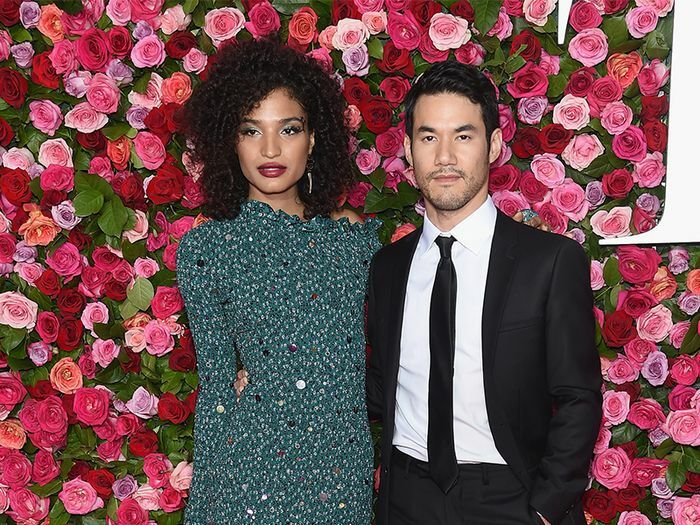 But perhaps one of the most noteworthy trends of the evening was modest dresses—worn by celebs including Carey Mulligan, Claire Danes, Indya Moore, and Rachel Brosnahan. Each of the actresses wore dresses with covered-up silhouettes—high necks, long sleeves, and hems that reach the floor. Modest fashion is a fast-growing movement, with searches for the term up by 500% on Pinterest's UK site since the beginning of 2018. And it's clear that the market for modest fashion is now gaining popularity on the red carpet, as well as in other areas of the global fashion world. Ahead, see the modest dresses celebrities are wearing on the red carpet at the 2018 Tony Awards. Available in size US 24. Available in Italian sizes 40 to 46. Next, take a look at our complete Tony Awards red carpet coverage.